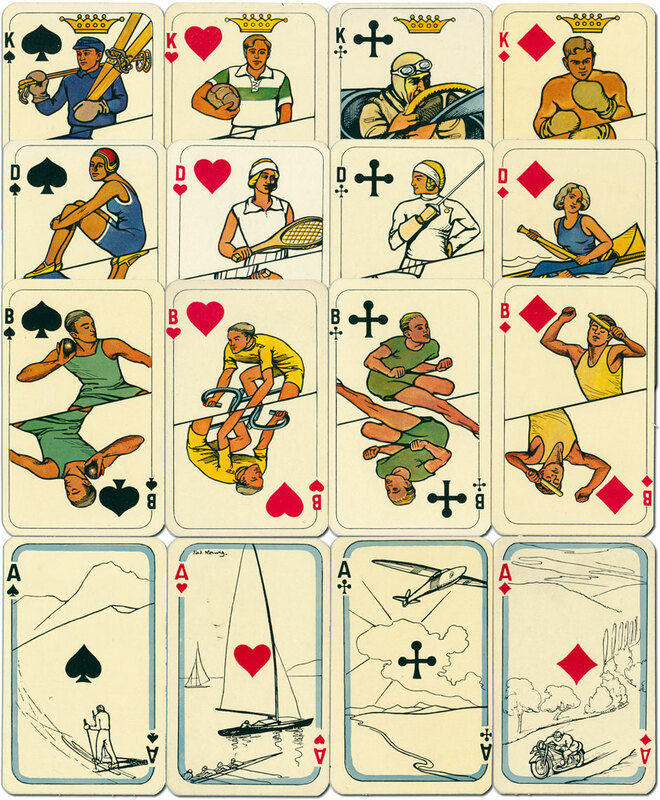 Obviously a sporting deck, featuring skiing, tennis, fencing, rowing, football, motorcycling and motor-racing amongst others, but there is no hint of Olympics about it. 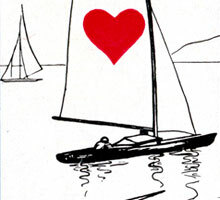 The signature of the artist, Ferdinand Herwig [Germany 1884-1959] can be seen at the top of the Ace of Hearts. Left: Ferdinand Herwig (1884-1959) studied in Stuttgart at Landsberger, Grete and Haug. He presented exhibitions at the Munich Glass Palace and the Great Berlin Art Exhibition. 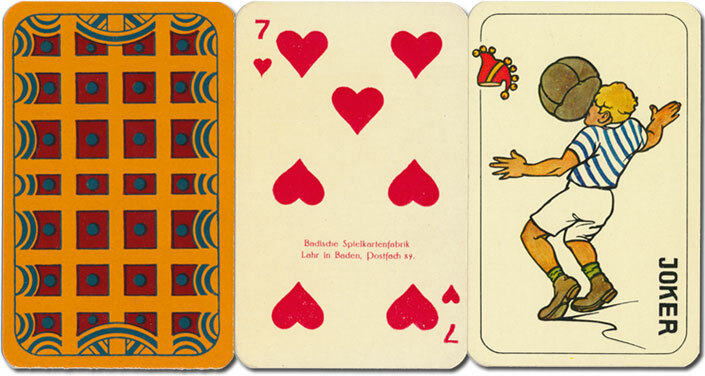 Above: sports-themed playing cards published by Badische Spielkartenfabrik, Baden, c.1930. From the collection of Barney Townshend.